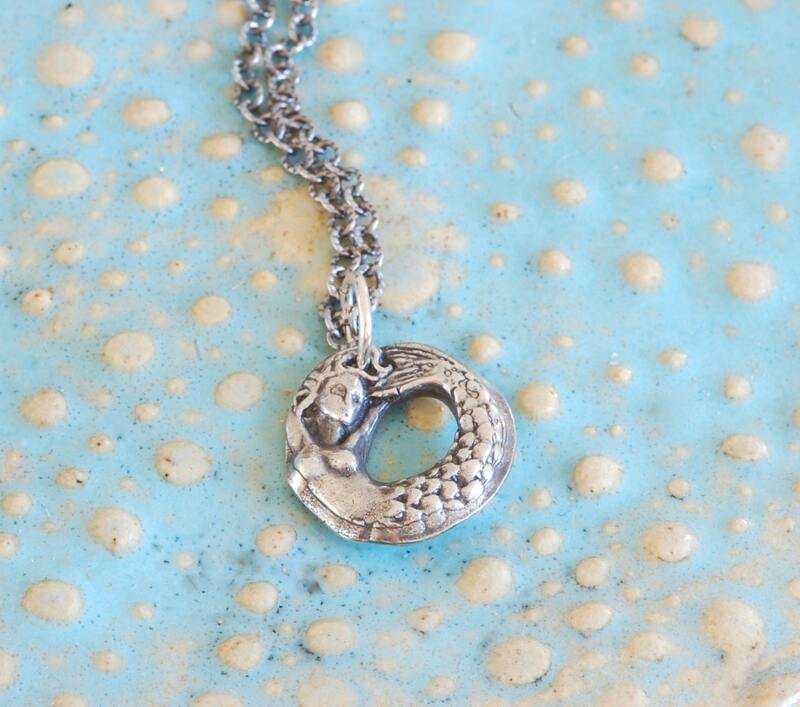 A lightweight mermaid charm in the shape of donut. Made from fine silver pmc. 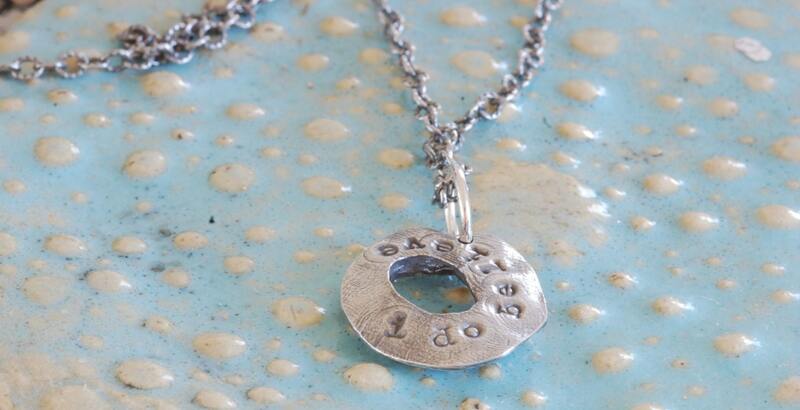 Chain is sterling silver with a slight oxidation. 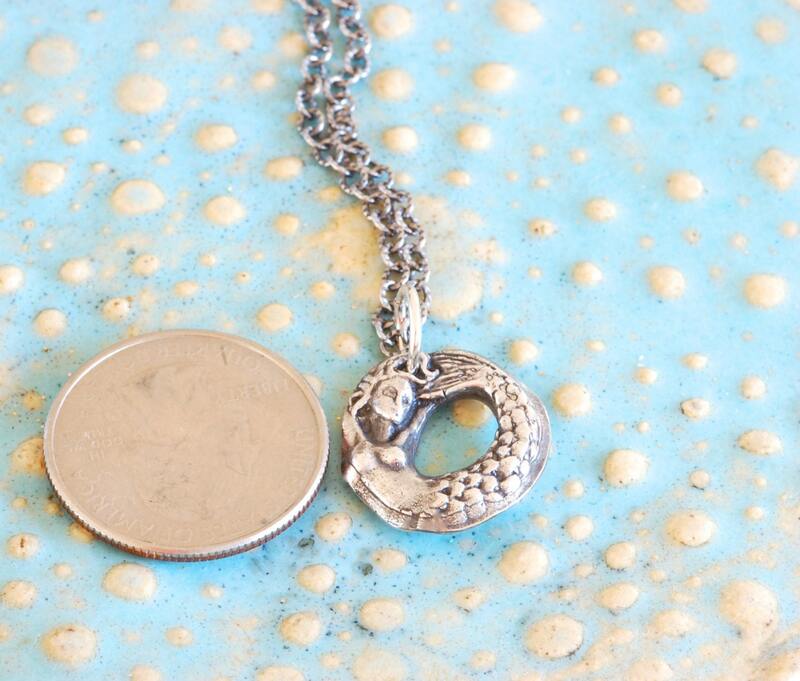 Chain is adjustable from 16 to 17 inches long. Please let me know if you want it shorter or longer. Sterling silver spring ring clasp. This has been a popular gift necklace.